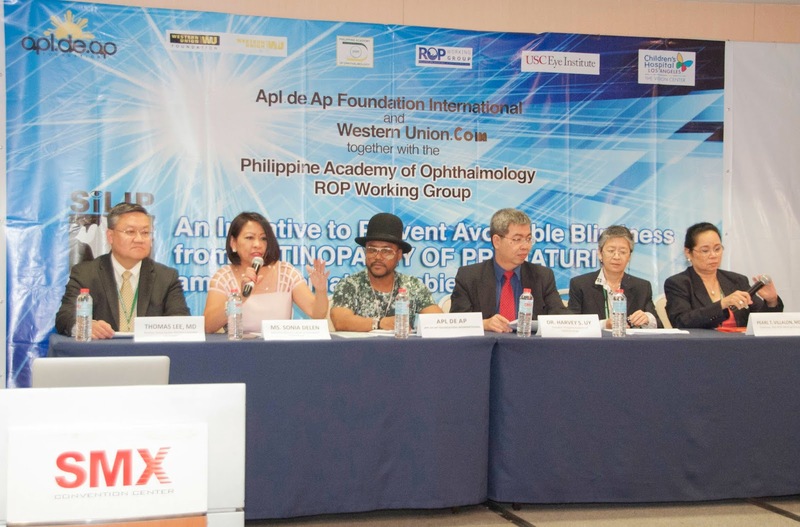 The Philippine Academy of Ophthalmology (PAO), Apl.de.Ap Foundation International, and WesternUnion.com team-up to reduce the number of blind babies resulting from “Retinopathy of Prematurity” (ROP) in the Philippines. ROP is an eye disease that strikes at least 10% of all premature births in the country. It is potentially blinding but preventable with timely screening and management. 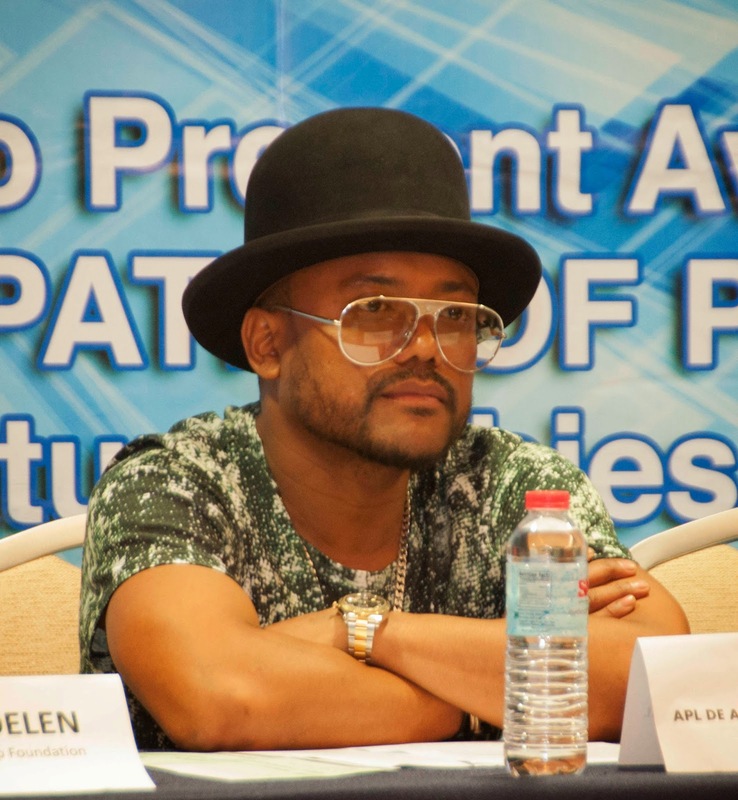 During the launch, the three organizations commit to develop information and promotion activities through PAO’s “Silip Bulilit” nationwide advocacy program and Apl.de.Ap Foundation International’s “Campaign for Filipino Children” initiative. These programs help create awareness of the importance of vision screening in children, especially among premature babies. The group will also work to generate resources for ROP screening training and services. 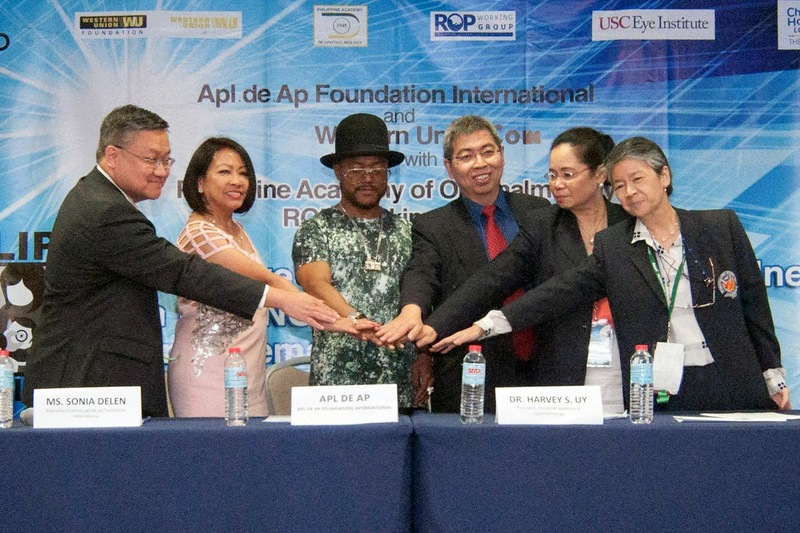 Photo shows (L-R) Vision Center Children’s Hospital director, Dr. Thomas C. Lee; Apl.de.Ap Foundation International executive director, Sonia Delen, Apl.de.Ap Foundation International founder, Apl de Ap; PAO president, Dr. Harvey Uy; PAO-ROP Working Group chairman, Dr. Pearl Tamesis-Villalon; and Vitreo-Retina Society of the Philippines president, Dr. Milagros Arroyo.